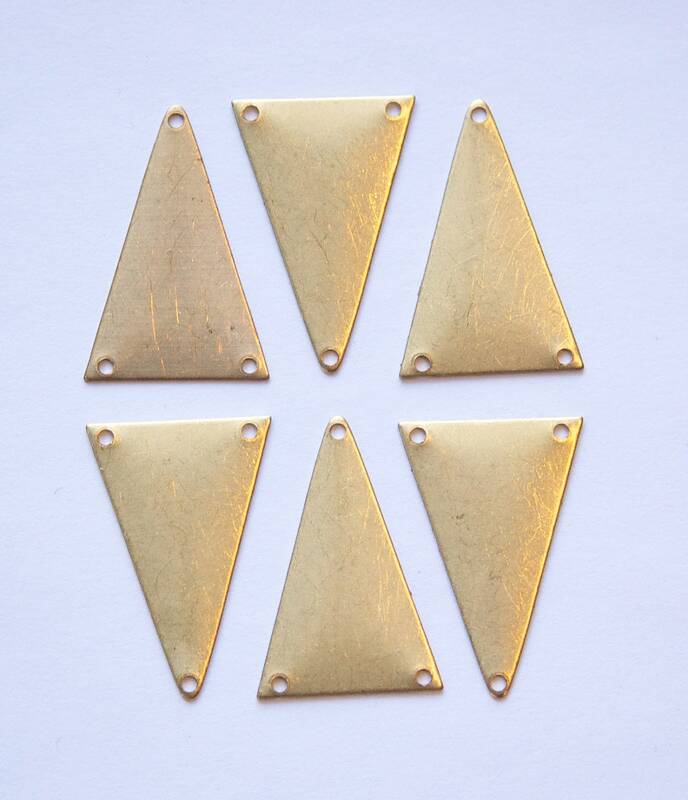 These are raw brass triangles that are made in the USA. They have 3 holes so you could use them as a connector or pendant. These measure 19mm along the shorter side and 30mm on the longer sides. You will receive 6 pieces. Perfect little pieces for cold enameling.